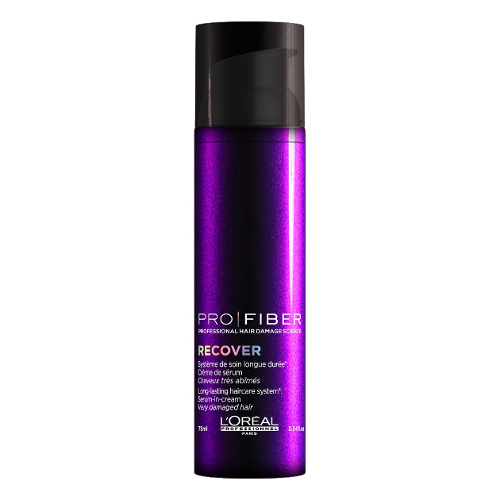 Pro fiber recover leave in conditioner is part of a long-lasting haircare system that promises to treat your thick, damaged or chemically treated hair. Utilising professional recovering technology to prolong the effect of the Pro Fiber in-salon treatment, the leave in serum delivers long-lasting care to protect from heat styling up to 230°C, smooth hair ends and strengthen for stronger, shinier, healthier looking hair. Locks look smooth and soft from root to tip. Enriched with a captivating black vanilla fragrance. Apply 2-4 pumps depending on thickness of hair to towel-dried lengths and ends after using the pro fiber recover shampoo and conditioner or masque.